At our December 20, 2018 meeting we welcomed Patricia Wimmer, a member of the Rotary Club of Rochester Rotary Risers in Rochester, Minnesota; Janie King, Jim King’s wife of 68 years; and Steve Ford, new editor of Del Mar Lifestyle magazine. We also welcomed back prospective member Yasser Tahboub from Rotary Club of Sulmaniya in Bahrain. 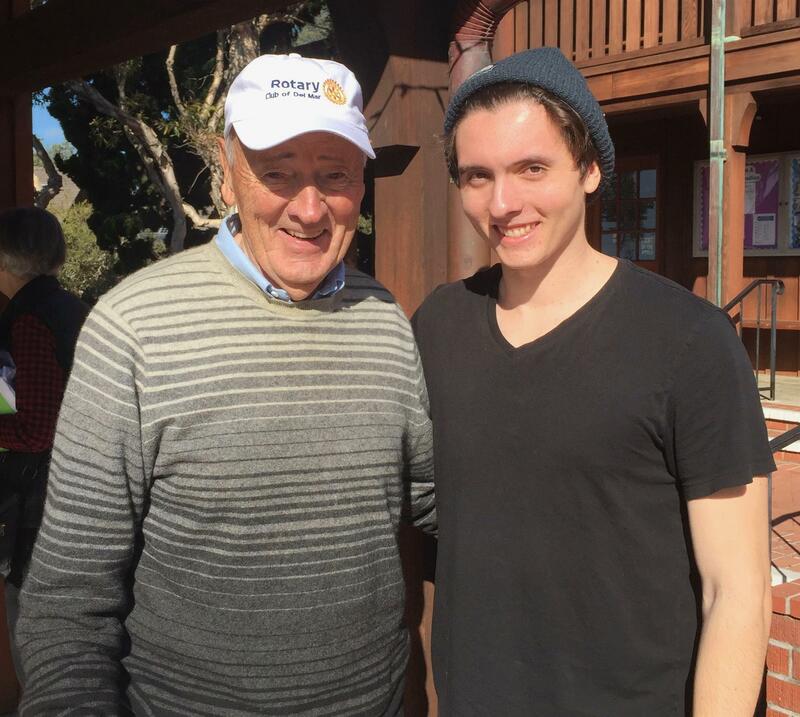 At the first meeting of the new year on January 10, 2019, we were joined by frequent guest Ole Prahm, Adrienne Hurt of Lakeland Noon Rotary Club in Minocqua, Wisconsin, Nat Reade of Rotary Club of Pasadena, Gabrielle Benot, an artist who lives in Del Mar, and Anthony Gallo, Monty Woolley’s grandson who is a senior at Colorado State University. 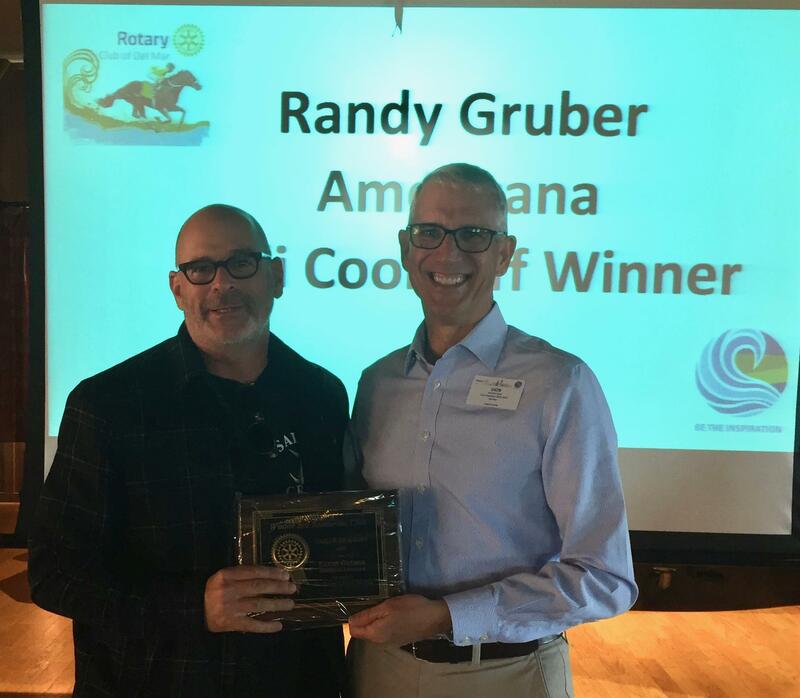 Randy Gruber crossed the street from his restaurant Americana to accept a plaque recognizing his prize-winning chili at our October Chili & Quackers event.